Technology is widespread in healthcare organizations and growing. In fact, 91 percent of U.S. healthcare organizations have undertaken or plan to undertake a technology adoption initiative in the next 12 months, according to a survey by Ernst and Young. These organizations are taking steps to self-disrupt in the hopes of using the power of new technologies to improve the patient experience (70 percent), clinical outcomes (58 percent), and customer relationships (58 percent). A focus on healthcare data security can lay the foundation for maximizing these technologies’ impact on patient care. “In the consumer-centric health ecosystem of the future, a focus on improving the patient experience will be absolutely critical,” said Carole Faig, U.S. Health Deputy Leader, Ernst & Young, LLP. Although these technologies are poised to make optimistic improvements for better patient care, the report shows that concerns persist, including fear of the unknown (35 percent) and privacy issues (32 percent). For many, it’s clear: To position these technologies for success, healthcare organizations will need to lay a proper data privacy and security foundation. As new vendors introduce emerging AI and machine learning-enabled technologies to the marketplace, organizations need to effectively secure patient information. In turn, they’ll continue improving patient care by helping cultivate trust that the patient’s data won’t fall into the wrong hands. 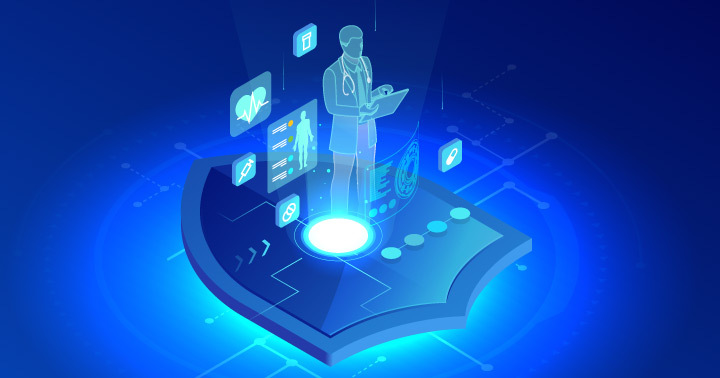 Ultimately, the goal of new technologies in a healthcare organization is to improve the patient experience, and patients need to know that their data is well protected. That may not be a given — 30 major healthcare data breaches have already hit the headlines in 2018. But if patients don’t trust your privacy and security controls, they may be less likely to divulge information that is critical to their care. According to a survey, data security concerns have led 21 percent of patients to withhold personal health information from their doctors; a data breach is moderately or very likely to lead an additional 54 percent to change doctors. So before implementing technologies that can put your organization at security risk, you should ensure that you first have privacy and security technology and initiatives that lay the foundation for innovation. Who has access to your organization’s ePHI? Are users accessing patient information appropriately? Do connected technologies make you vulnerable to a data breach? Will new technology maintain your HIPAA and HITECH compliance? The answers to these questions may help you decipher the future of your organization’s privacy and security posture. For some top care providers, patient privacy monitoring technology is the foundation of secure patient data. Such a solution helps them monitor user access and more confidently implement technologies that improve patient care. With a clear understanding and bird’s-eye view of patient data access across your applications, you can better identify vulnerabilities and detect, investigate, mitigate, and remediate any inappropriate access or policy violations. Learn more about FairWarning’s Patient Privacy Intelligence platform.